Robert Coin showcases this gorgeous cocktail ring. 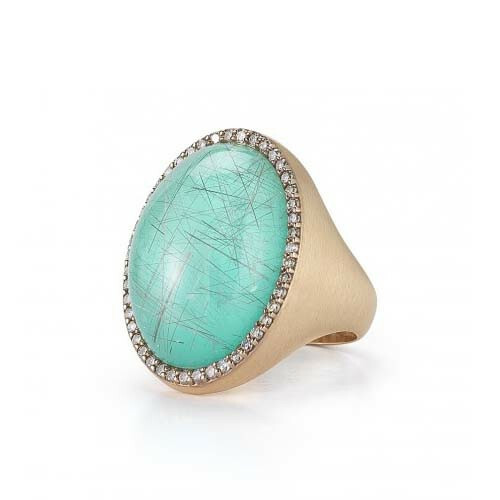 Set in 18kt rose gold, green agate and Mother-of-Pearl rest beneath rutilated quartz to get the captivating, iridescent, blue-green color of the piece. 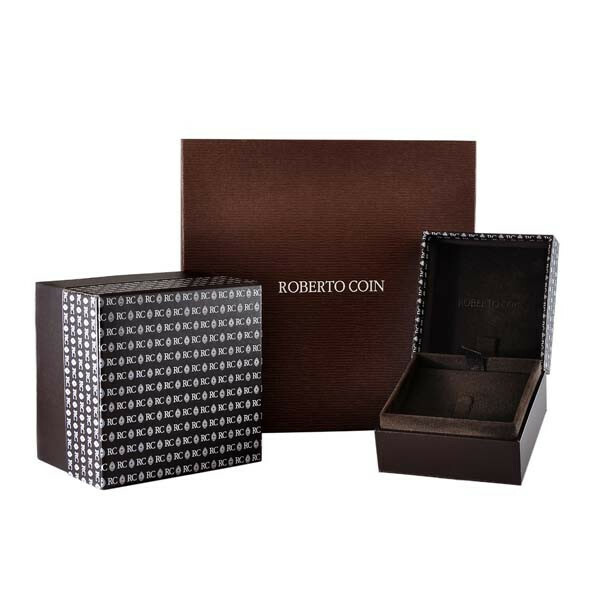 The center stone is surrounded by amazing cognac diamonds for eternal shine. 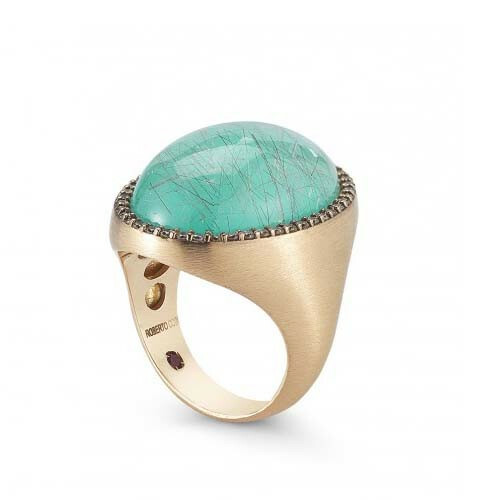 This colorful Roberto Coin ring will accentuate your outfits beautifully!